Training is now changed a lot in the way it is being conducted, The main thing one needs to do here is understanding the platforms the youth is now using.Here, the usage of mobile is certainly increasing in the world and therefore, a very good platform to pursue for imparting training. 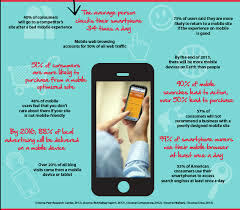 Mobiles are available everywhere so one must work on imparting knowledge through mobiles. Knowledge and skills are regaining importance not just for students but also for professionals who keep themselves updated through the internet which is accessed often in the mobile. We expose students to the kind of activities that engage them in learning in the modern world. The need of the hour is to make students focus on their studies and make it interesting as well, This is of course always a challenge for all professors, whatever the medium. However, it has been found that not every student can absorb knowledge at the same pace and depth while he is busy in writing the notes. So, online learning makes it both engaging and uses time optimally. We make sure that a student’s focuses on only on one thing at a time . This surely makes learning fun and more engaging. The introduction of applications in training and the education sector has led to the introduction of new learning methods. There are fun games available for mobile applications that indulge the students into a healthy thought process and help them understand things from a different perspective. The understanding of education itself is changing. When sometime ago, it was all about telling the youth what to learn and therefore what to think, now it has changed to changing the perception. Education and training therefore gears them up to understand the situation and the new technology teaching them how to think, what tools are relevant and how to apply what they have learnt. After all, true education is all about making decisions based on the facts that are presented and the situation that one finds oneself in. At our institute, we train people in the world we find ourselves in, and have many online courses with certification that are have many students upskilling themselves and asking for more. We ensure that there is regular change in the way we teach keeping in mind the current trends. This ensures the students never lose interest and are always part of the learning process. This helps them understand things from a different perspective. For perspectives after all keep changing in the digital world. Our regular online updates help in building parent-teacher relations beyond the walls of educational institutes. All parents do wish to know what is happening in their sons’ lives. This facilitates teachers responding to the queries from the parents regarding the course and future trends. Technologies such as mobile, cloud computing, and artificial intelligence (AI) have fundamentally changed education in a big way. We use all of this in our training methodology. We keep ourselves completely updated so that our students, in turn also remain updated. Administrative functions such as online payments are made easily and the records maintained. Even certifications and grades are stored in our database. This makes it easy for us to keep track of progress and address all lacunae if any. Following traditional methods, one cannot pay equal attention to all students. With online methods, it is easily possible. We impart information to every student and address all their queries one to one. The queries, when we find them to be applicable to all, are made available to all so that the learning is cumulative. Our databank of learning improves as we are continually learning from students. Our students use online studying and read many e-Books. This makes it easy for the students to search the appropriate study material in the mobile application. It keeps them closer to the study material and helps them to segregate their materials over the web. No technology is bad. It is the manner in which one uses it. Though many people deride modern technology, we beg to differ. Changes are required in our thought process to understand what technology and use it well after we know the potential it has. We have found that the web is a wonderful platform for training when used well in an optimal manner. For this, a lot more work in remaining updated and current is required by our institute. We cannot and do not stop learning and none of our teachers and material remain stagnant. They are willing and open to learn from anyone anywhere in the world. We consider it to be a great benefit when we find that a teacher can access his student anywhere and share his views throughout the world. In turn, the student can learn what he wishes to learn anytime at his pace and convenience. This therefore means education is truly becoming accessible everywhere through the internet and the ubiquitous mobile. We have ensured we too remain accessible by all. This is why our study material and e-Books are widely available on the mobile and we ensure all our students have access to it. 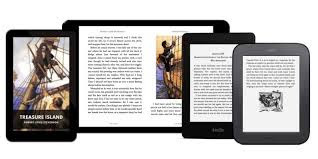 Our e-Books are widely appreciated by all, not just those in our institute as the new world is all about learning from each other all the time. India is changing and will change further only if we make all the changes in the world applicable here. Fortunately, this is easily possible in the new internet era. We have taken many steps by ensuring students get access, are certified and even get placed after the training they complete with us. This is again possible as we are keeping ourselves abreast with all that is happening in the modern, globalized world. We are in fact, the first institute to offer 100% placement to our students, and can certainly say even mobile based learning has helped us in doing so.